Silvio Dalla Valle is a lawyer by profession. 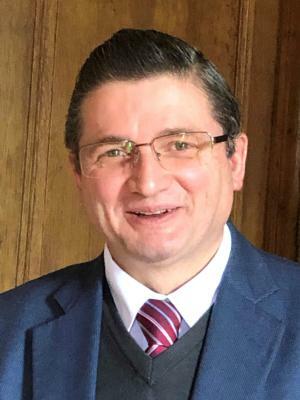 He offers his knowledge as legal, strategic and direct mail consultant for faith-based, pro-life and pro-family organizations in Europe and in the US. He is credited with helping number of conservative organizations raising funds through direct mail, web and planned giving programs. He is a founding member and the executive director of the Associazione per la Difesa dei Valori Cristiani – LSE. Incorporated in 1991, ADVC-LSE was the first faith-based organization to successfully introduce direct mail in Italy as a tool to promote conservative agendas. Mr. Dalla Valle is a co-founder and legal adviser of the Osservatorio della Cristianofia, a project that aims to lobby the United Nations and European institutions to take a strong stance against any act of persecutions and discriminations against Christians and their religious liberty. He was recognized for his role and impact in the conservative movement with the Global Leadership Award, granted jointly by the Leadership Institute and the Howard Center Center for Family, Religion & Society.